TUCSON, AZ (Tucson News Now) - The Tucson Police Department took home second place in a national competition for a K-9 grant. TPD won four-thousand dollars in the competition and says the money will go towards building up their midtown Tucson warehouse at the Tucson Police Department’s Westside Police Service Center on W. Miracle Mile into an elite training site. More than fifteen-hundred K-9 teams around the country competed and $20,000 in prize money was awarded. Sergeant Paul Sheldon, the supervisor of the nine-dog TPD K-9 Team, said they are a 24-7 team with dogs and their handlers readily available if the situation arises. His team was hoping to win the $5,000 first place prize, through the Aftermath grant, however, came in second place winning $4,000. “These dogs are constantly training. 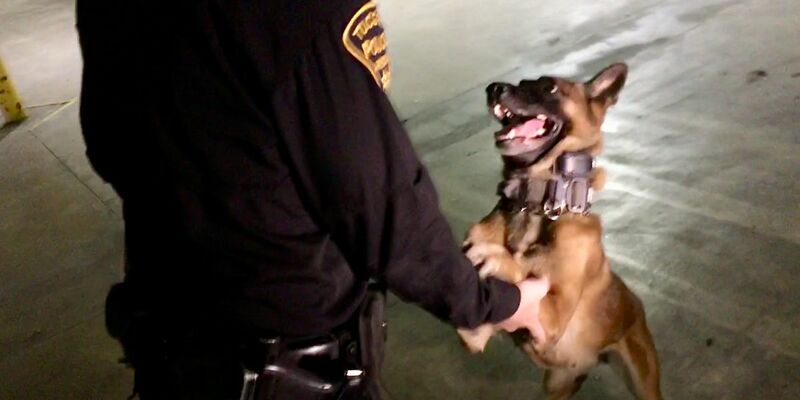 Our handlers do a very good job of training them on a nightly basis. To be able to offer them some more tools and some different tools obviously requires money that’s not in our normal annual budget. It just makes us a better unit in general," Sheldon said. Being able to provide more training in-house will reduce costs for outside private training through various services.